No cables or mats, wireless. Save money and gain stability and reliability. Rent or purchase your own system and start earning revenue with fitness. Benefit from the on-going support of a Certified Orbiter Race Timer (CORT) and 24/7 Orbiter customer support. Orbiter Inc. trains you and supports you. More themes of events, not possible with other systems limited by mats and cables. 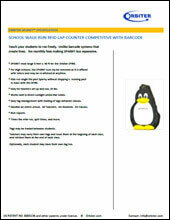 The smart and efficient way to count laps in physical education. Easy to set-up, split and record times. 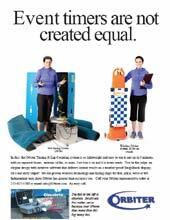 Equipment rentals are available for Parent Teacher Organizations (PTO) events including walk-a-thons. Stress Free. No manual bar code scanning or Tap Tap on a Table. Everything is automated. Sit back and relax. 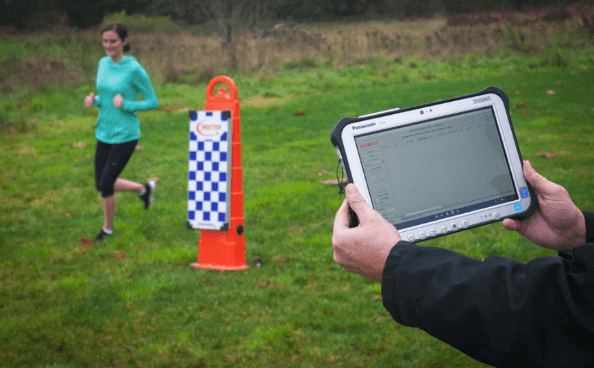 Fitness Assessment tests with rapid deployment, 3-minute set-up, and fast reporting. 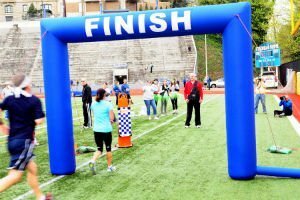 Use Orbiter Lap Counting for Morale, Welfare and Recreation (MWR) races including triathlons, run and bike races. 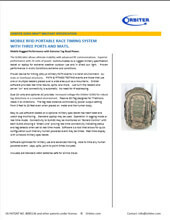 Mobile and Perment Systems. Our proven microwave permanent system spans the entire track without the need to cut into the track. Cuting into the track eventually delaminates the track and not allowed by FAR rules as it destroys government property. Become a Certified Orbiter Race Timer (CORT) and start earning income. 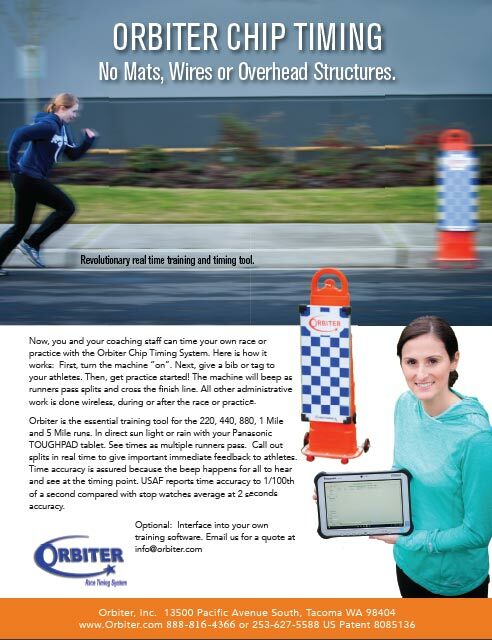 Orbiter’s light weight equipment and quick set-up is a favorite among timers and offers excellent earning potential. Benefit from our business leads, and know how. We teach you how to grow your business using rentals, new markets and our existing customer base. 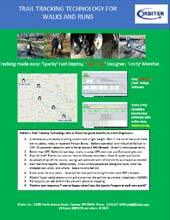 Orbiter’s Tracking and Timing strength is producing an easy to use system for beginners as well as experts. As you read our references, many are from world champion athletes. Others are from PE teachers and first time users too. Our strength is expertise in both radio frequency hardware and software. By providing you a full solution you gain superior service. Our people have been together for 20 years, since the mid 1990’s. 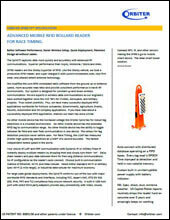 Our first billable was a RFID solution for the NASA’s Space Shuttle. This is where the Orbiter name came from. We use a a Penguin for a mascots because we tagged Penguins in Argentina for a University of Washington study. We also built a Formula 1 Transponder for TAG Heuer, and many others. Please continue reading our web page to learn more. I am happy to say our marathon yesterday was a smashing success! The equipment worked beautifully and looked great!